Define your fate in Assassin’s Creed Odyssey. Walk from an outcast to a living legend: go on a long journey to discover the secrets of your past and change the future of ancient Greece. You will find a completely new combat system and sea travel in a huge seamless world that is constantly evolving and reacting to your every action. Become the legendary hero of Greece – For the first time in the Assassin’s Creed series, you can choose a character: Alexios or Kassandra. Modify equipment, improve abilities and personalize the ship to become a real legendary hero. Explore the world of ancient Greece – Explore the game world: from the snow-capped mountain peaks to the depths of the Aegean Sea, from the corners of rampant wildlife to the major cities of the “golden age” of Greece. Your story will sparkle with new colors thanks to meetings with bright personalities, battles with violent mercenaries and other surprises. Choose your own path – you will find more than 30 hours of dialogs with a choice, as well as various options for the endings of the game. A truly lively gaming world will change depending on the decisions you make. Feel at the massive battles – Demonstrate the unsurpassed art of fighting and change the outcome of the battles in the Peloponnesian War. 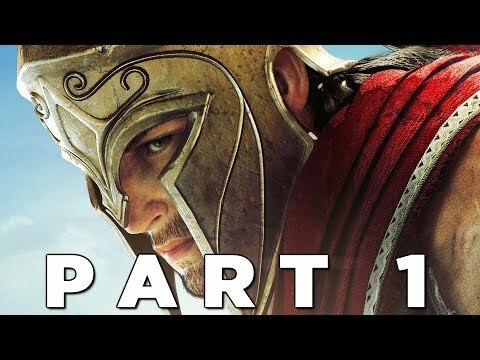 You will become a member of large-scale battles between Sparta and Athens. From each side on the battlefield will be more than 150 soldiers. Conquer the Aegean Sea – Search for objects that are not on the map, and hidden treasures. Pave your way, participating in major sea battles. Change the appearance of the ship, modify weapons, hire a team of fighters with unique skills to adhere to a convenient style of warfare. Discover the land of myths and legends – Explore a world where myths come to life and ancient rituals are performed. You will meet with famous personalities and find out what really lies behind the legends of mythical creatures such as Medusa and the Minotaur.